Actor? Director? Producer? Your call - but you can do them all at the Studio! The Career home for the Actor, your Sim will work between the hours of 9:00 AM and 5:00 PM. The Camera is the tool you can obtain from The Hobby Shop to train this skill at home. If it says it will take over 300 hours than you have used the time skip cheat. That is one of the bad side-effects of that cheat and it is one reason why we suggest NEVER to use that cheat. Ever. Your only option is to allow the timer to run out, with any luck that will unstick your game. Ok guys, you go to the little store that sells the soccer ball and stuff like that, you then scroll across and as you scroll you should go past a movie camera for approximately 2,000 simoleons you purchase that. Then that should give you a head start. It's now up to you guys to finish! I really do hope I helped you and good luck! 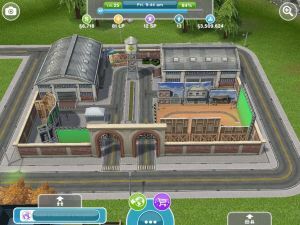 I've started building my movie studio and it's saying it's going to take over 300 hours. Is this a glitch? How do I solve this problem? how to cancel Movie Studio? please help me. How do I use this to practice film making to pass level 9. Or add someone who has the camera. Help. I downlod the Movie studio and i cant cancel it .How do i cancel it ?